is simple—sake. At Nikko Japanese Restaurant & Sushi Bar, we appreciate a good sake. 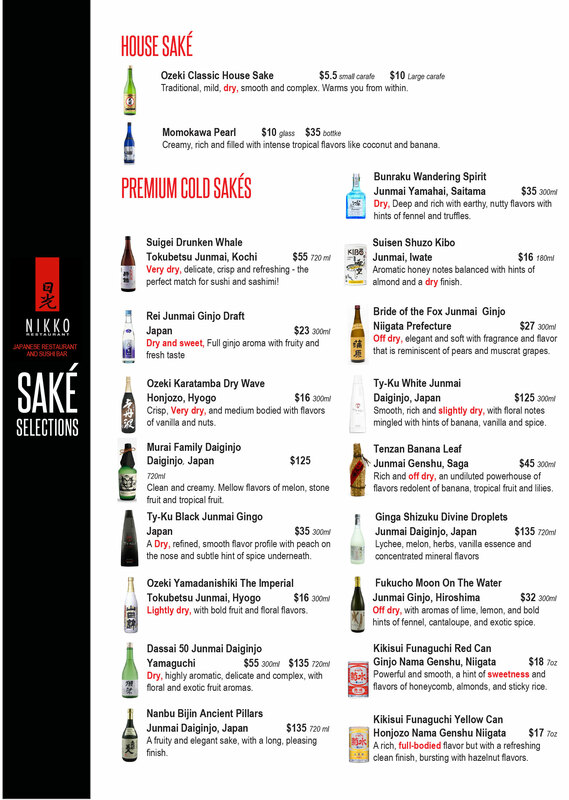 It’s why we offer our guests a premium sake menu with a variety of hot How can going to one of the best restaurants in Charlotte get an better? Well, for those who like to have a well-crafted alcoholic drink with their meal, the answer and cold sake A cold or hot sake can accentuate your sushi or Japanese food, giving you a true appreciation for the simplicity and brilliance of Japanese cuisine. 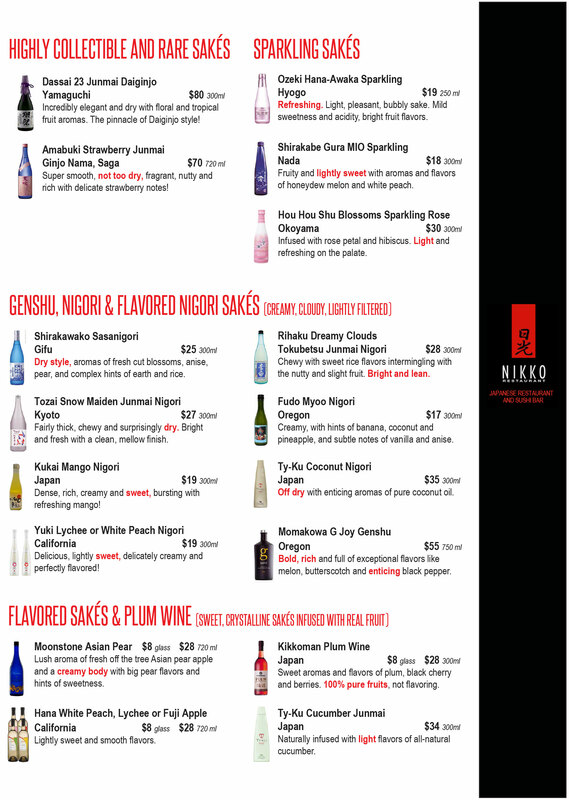 Next time you come in for some fantastic sushi, sample some of our sake!